For the third installment of our annual mix compilation, we turn our attention to Amsterdam and give the controls to our friend Robin Fett. One of Europe’s rising names on the club scene, Fett dives deep into our catalog and delivers a tougher, more techno-inspired showcase of the Loot Recordings sound. The mix opens with the melodramatic, warm techno vibe of “Calling (Dub Edit)” by Alex van Ratingen / PeterSea. From here, Fett turbocharges things and heads straight for the stratosphere with Sascha Dive’s remix of TRU.’s “Porphyr” and Luminer’s rolling remix of Alec Chizhik & Markus Mehta’s “Music”. We then take a turn toward a more twisted sound courtesy of Mike Kiraly with Fett’s remix of “We Get Messed Up” and “Break The Entrance Lady”, segueing into the warmth of “Cosmo” by Drahte. 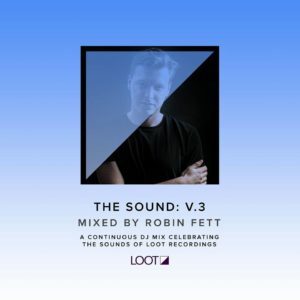 Fett manages to feature plenty of his own productions, including Stiv Hey’s remix of “Trucco” and the punchy, piano driven “Street Groove”. The intensity heats up with the fierce rhythms of Kered “Find My Way Back” remixed by the Cactus Twisters and Martin Landsky’s stomping version of “Si Mani Revisited” by Mike Kiraly. The story ultimately drifts into melodic territory with the beautiful “Virgo” by Drahte and the seductive sounds of Fett’s latest Loot release “Studio Talk” remixed by Sascha Dive. Press play. Turn this one up loud and lose yourself in the dance floor mania curated and mixed by Robin Fett. We hope you enjoy the third installment of our series label mix and discover a new sound from our catalog.